This educational puppet was developped espcially for the "Pausenengel" project. It helps to overcome communication barriers: he's allowed to say everything and to talk to anybody. 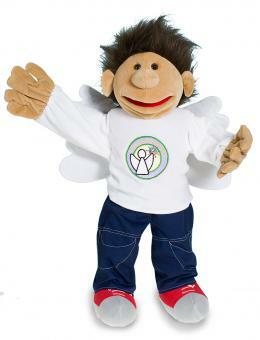 More about the "Pausenengel"-project you find here!